Australia’s Jayco Motorhomes haven’t always enjoyed the best of reputations for quality control, but the new 23-foot Conquest represents a welcome shift – a development supported by contemporary styling, novel design and plenty of options. Customer choice is a major attraction with the new Conquest. The models are built on either of two popular chassis – the Fiat Ducato or the Mercedes-Benz Sprinter – and within that selection are different engine sizes and body lengths. On top of that, you then get to choose between a seemingly infinite array of layout options. 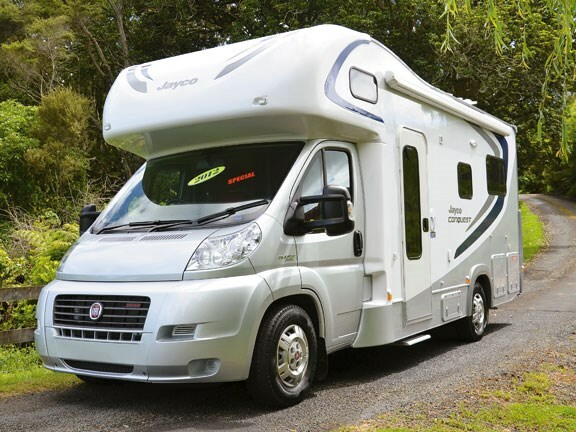 Our vehicle – built on the Fiat chassis – also carries a number of 'firsts' for Jayco. Among them is the introduction of what I consider the 2012 Conquest's stand-out feature – an electrically-operated drop-down double bed in the rear; a very clever use of space. Another key development is the introduction of a new nose cone. Previously constructed from separate components (and often plagued by leaks), the new cone is a one-piece affair, and is more aerodynamically sculpted to improve both general vehicle stability and fuel efficiency. The Conquest also comes with an upgraded interior, resplendent with quality fittings, double glazed windows and a larger fridge. More on all of these shortly. Fiat's Ducato chassis tends to polarise motorhome aficionados – they either love or hate it, with those in the latter camp citing the front-wheel drive's propensity for getting stuck. For my money, any negatives the Ducato presents in terms of its ability to extract itself from a ditch is offset by its smooth, car-like driveability – particularly when it's fitted (as our test Conquest was) with the 130kW, 3.0-litre turbo-charged engine. With a GVM of 4250kg, the Conquest is hardly a taxing load for the engine. The six-speed Conformatic (automated manual) transmission is a dream to use and at the legal limit the vehicle burbles along at a shade over 2000rpm in top gear, devouring hills with ease. Its 90-litre fuel tank will provide a healthy range. Standard equipment to enhance the drive includes power steering, ABS braking and traction and stability control. Whatever your views on the Ducato, it's an enjoyable, easy drive. I also like its cab layout – nicely-styled, ergonomically satisfying and easy to use. 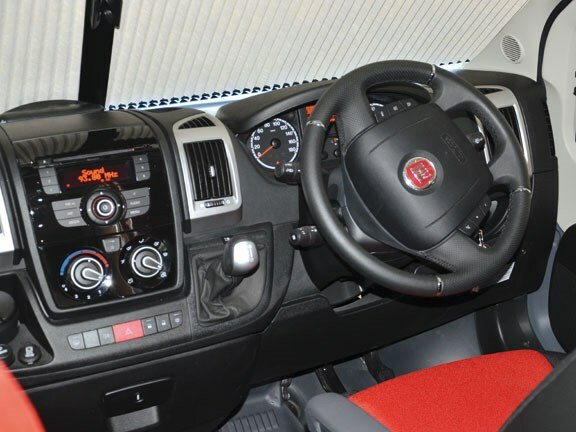 It's equipped with a GPS (standard), a rear-view camera, adjustable steering, central locking, electric mirrors, cruise control, air-conditioning and an AM/FM radio/CD player, with Bluetooth connectivity. There is more than enough electronic smarts on-board to keep you tuned into a happy space. I took the Conquest over quite a few rural roads and I'm happy to say the combination of good underfloor insulation and robust construction keeps road noise, rattles and bangs to an insignificant level. It won't detract from the music or conversation. The 2012 upgrades to the Conquest are most noticeable inside – in particular, the new drop-down bed (east-west). Unlike earlier models which have the standard U-shaped lounge/dinette in the rear converting to a double bed, this version boasts a fully-made up bed which retracts (during the day) into the ceiling. At night, with the touch of a button, it drops down over the settees below. The advantage of this arrangement is obvious: the lounge/dinette settees remain in their original configuration – no need for disassembly/assembly – and the bed is always made up, ready for you to roll into it the moment you finish the last of that noble cabernet. To complete this now-you-see-it-now-you-don't sleight of hand, the designers have mounted LEDs into the underside of the bed, providing the illumination for the lounge when the bed is hoisted into the ceiling. You really wouldn't even know it was there. Particularly clever is the placement of the 18.5" LCD TV and its built-in DVD player – it's mounted in a locker at the foot of the bed, discreetly hidden when not in use. But the locker's position means you can watch TV from both the bed, or the settee when in lounge-mode. The electric bed version, incidentally, is only available (currently) on the Fiat Ducato chassis, but it is to be introduced to Jayco's Mercedes-Benz alternative too. This Conquest is a four-berth model – there's another double bed over the cab – and the rest of the motorhome's layout caters well to four occupants. Jayco has upped the standard spec considerably, introducing a bigger fridge (a 150-litre Dometic, compared with the previous model's 120-litre unit), and a 130-watt solar panel on the roof. This helps to keep the twin 100 amp-hour batteries in trim. Colour-wise it's a fairly neutral interior – the lightly shaded cabinetry contributes to the airy sense of space – and natural light floods in from an overhead skylight and large windows. They're all double-glazed (and fitted with blinds and flyscreens) to keep things toasty inside, complementing the four-layer, vacuum-bonded wall construction. A roof-mounted air conditioner keeps the interior fresh, and a 2.4kW diesel heater is supplied to boost the temperature if you're keen on winter touring. The Conquest carries twin 4.5kg gas bottles. The decent-sized kitchen caters to all your needs – its appliances include a microwave and a four-plate cooker (one's electric) with oven and grill. The designers have excelled in their provision of working surfaces and cupboard/locker space. The latter are all fitted with new, contemporary-styled handles, and I particularly like the stylish, curved doors in the overhead lockers. Just forward of the kitchen (far side) is the bathroom and, while adequate, it's a little compact. 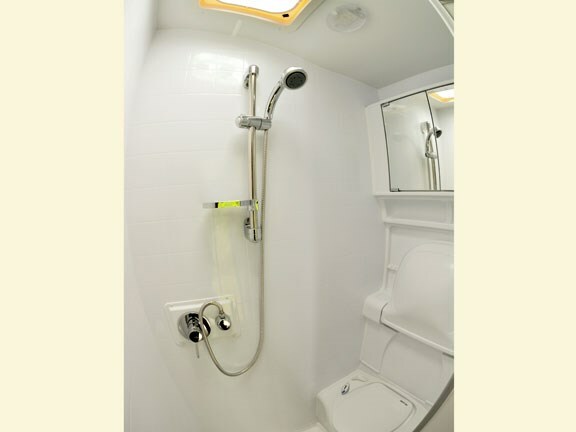 I'm not sure that it could be fitted with a curtain to separate the toilet and flip-down basin from the shower – but it's certainly something I'd explore. The only grizzle I have with this Conquest's otherwise sensible layout is its 'neutralising' of the Ducato's swivel seats up front. 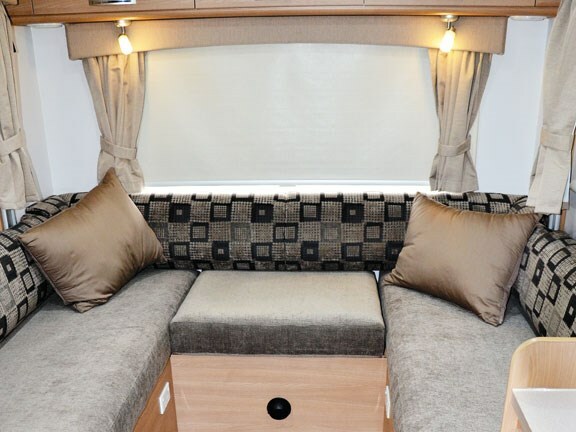 At opposite ends of the motorhome, the lounge and swivel seats don't really work together – the separation is too great – it's difficult to see how they could be part of an intimate gathering. Other layout options see the small dinette installed just behind the driver's seat – and that uses the swivel seats to much better effect. 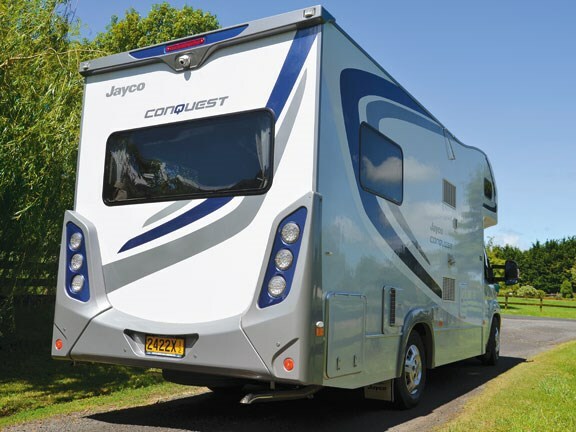 Overall though Jayco has lifted its game significantly with the latest Conquests. There's a distinct sense of 'Euro' about its styling, supported by quality fittings and good design. This model retails for $178,000 – some $8000 more than its 2011 predecessor. But I'd suggest the differential is well worth it. For more information about the 2012 23' Jayco Conquest, contact Mark Rhodes at South Auckland Caravan Ltd, ph 021 138 6162.